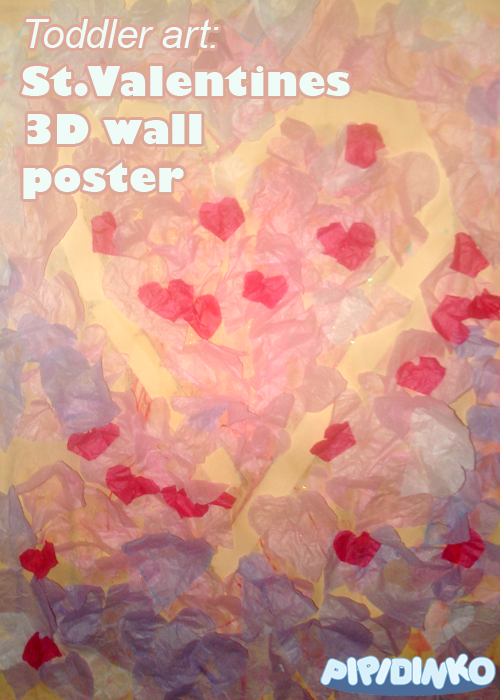 Here is a beautiful St.Valentines poster me and Santino made with a large sheet of construction paper, a few tissue sheets, masking tape and glue. 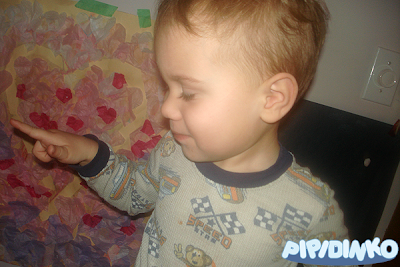 I am not going to claim that Santino did the whole thing by himself. 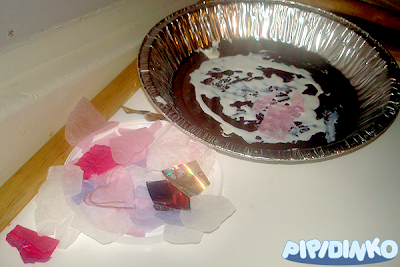 It was certainly me who masked the heart shape with the masking tape, and cut up the hearts out of the white, pink, purple and red tissue paper (we had lots of those left over, I never throw it out when somebody brings a present, wrapped in such paper), I also started on this art by sticking some white hearts at the top, pink in the middle and purple at the bottom of the poster. 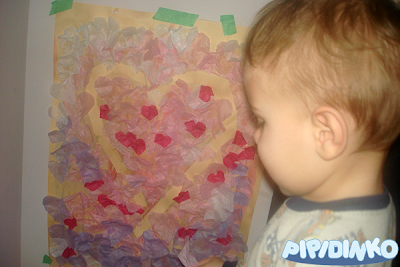 Santino helped me with the rest of the hearts, sticking them whenever he wanted, creating a lovely and vibrant art.